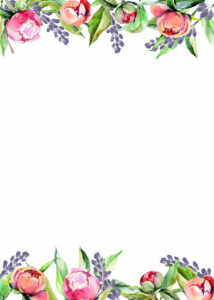 This floral wedding invitation template can also be used for RSVP cards, save the date inserts, thank you cards, birthday invitations, bridal shower invitations, baby shower invitations, birthday invites, graduation party invitations, retirement party invites, okay I think you get the idea. This can be used for any invitation or information card that you need. I highly recommend using PicMonkey for editing these invitations. 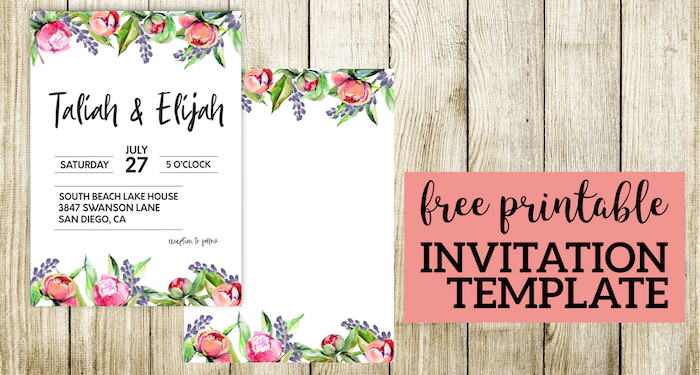 PicMonkey has a free trial that you can use to upload this floral invitation image and then edit it by adding text using their intuitive program. 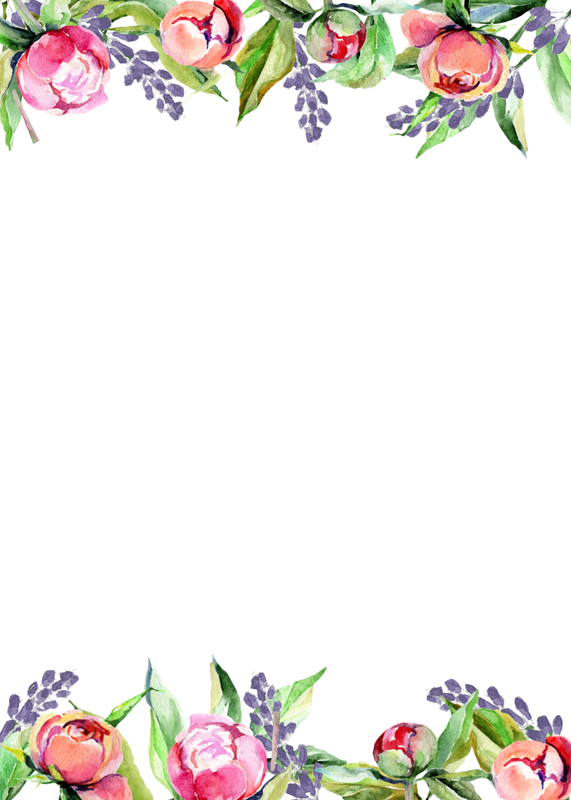 Don’t forget to check out PicMonkey a free trial of their website and you can easily customize this floral wedding invitation template. If you want a little more guidance then check out our tutorial on how to use picmonkey. 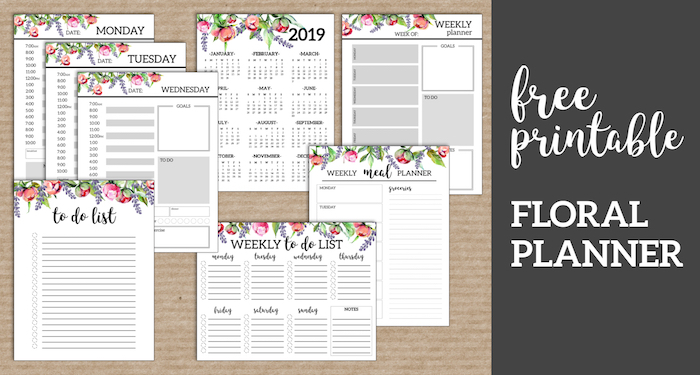 Use these coordinating floral planner printables to help plan your party or jsutto keep you organized in your everyday life. 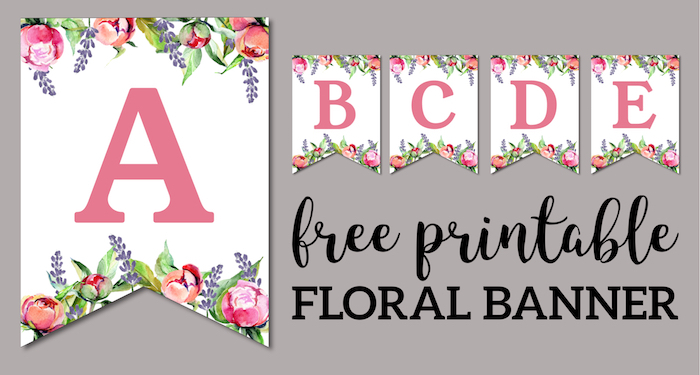 This matching floral banner can be used to customize any message that you need be it for a birthday, wedding, shower, or other party or event. 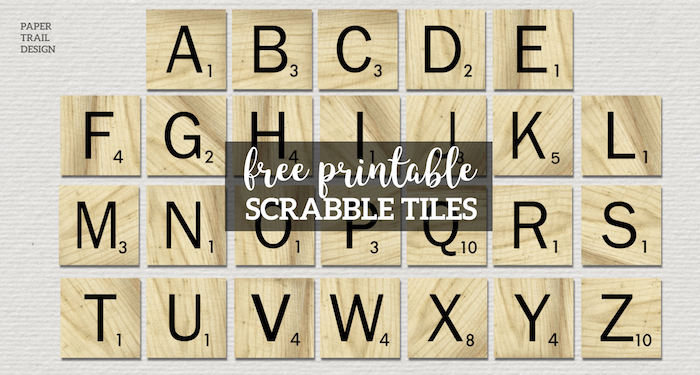 Make a scrabble style banner to use at a party or for your home decor.